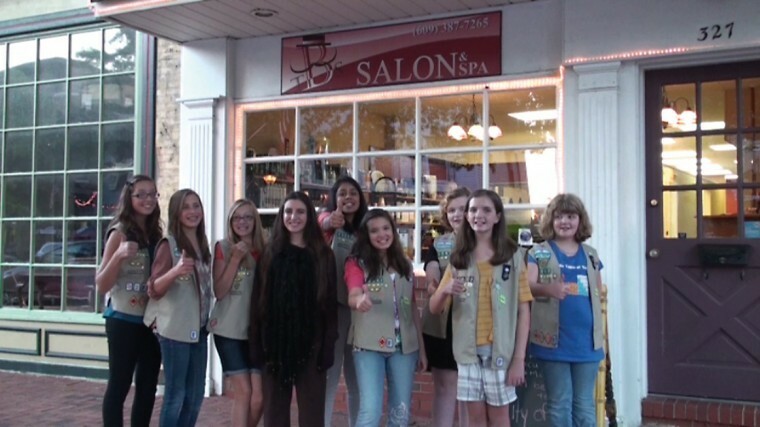 BURLINGTON TOWNSHIP — When a group of Girl Scouts made a video spoof about the need to have “perfect hair” for a troop project, the girls had no idea how many people could relate. One day after the video, “Sasquatch Hair Care Tips,” was posted on YouTube on Oct. 4, it was being viewed in Mumbai, India. As of Tuesday, 1,650 people worldwide had seen the three-minute video. And the number keeps growing. Sasquatch is another name for Big Foot, the mystical hairy ape that supposedly inhabits the Pacific Northwest. Most of the members of Cadette Troop 22052 weren’t “gadget girls” at the start of their project, called a “media journey,” troop leader Karen LaSasso said. Now they have a much better appreciation of their own abilities and the power of the media. “This journey was fun,” LaSasso said. In the process, the girls strengthened their leadership, decision-making and speaking skills, she pointed out. “The journey challenged them to determine what type of girls they were,” LaSasso said. The troop started the project in September with LaSasso enlisting the help of Julie Vasquez, a freelance writer who reports on fashion issues for radio stations and whose daughter Emily is a troop member. The girls discussed ideas that they could present, and one of them was how “you’re always supposed to be perfect. A girl can’t be a girl,” Vasquez said. So they put together their video, showing girls how to care for their hair, but in a way that points out that bald is beautiful, too. The video was filmed in the Walnut Street Park woods, where they met “Sasquatch,” portrayed by LaSasso’s daughter Gabriella. Emily said this was the first video she edited that appeared on YouTube. The next day, a website called themarysue.com featured the video and the number of views jumped. While she liked being in the film, “I think the editing was more fun,” Emily said. “She did an amazing job,” her mom said. 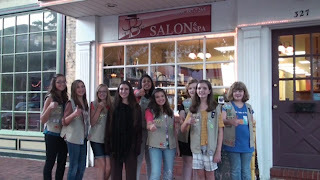 Other members of the troop include Ahimsa Aradhya, Sierra Hancock, Suzie Hancock, Abby Hillman, Nicolette Meade, Sabrina Pallen and Abby Pasake, all of Burlington Township. Very Useful details, this is both excellent examining for, have quite few excellent key details and I understand some new products from it too alopecia.